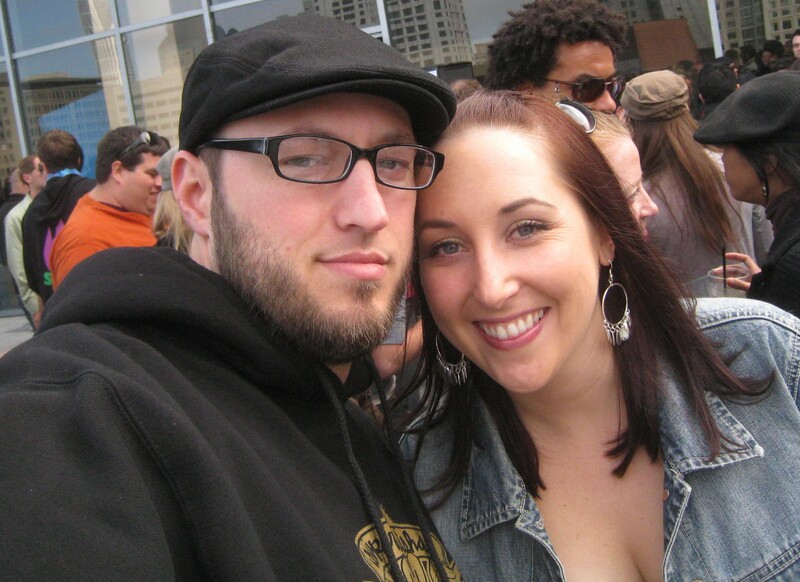 We (Mack and Deanna) live in the heart of San Francisco, North of the Panhandle and Golden Gate Park. We met online and were married in May 2012. We have one cat and no other animals or kids, so far. We spend just about every weeknight in our kitchen cooking something, whether it be a simple meal of chicken and rice, or something more complex, we are always looking forward to our next bite. Not all of the recipes we post are completely original. We borrow from many places and sometimes just blog about doing someone else’s recipe in full. We just like to share our experience. We’ll spend time blogging about our cooking and dining experiences around the San Francisco Bay Area and Northern California in general. From time to time, we might even talk about food from out of the area. We hope you enjoy the food we cook, the recipes we share and the pictures we post. Leave a comment if you do!